This entry was posted in Substance Abuse and tagged Addiction, Preventing Misuse, Recovery, Signs and Symptoms on June 1, 2016 by Team Addiction Hope. The unfortunate truth about addiction is that it causes people to abandon everything that they once cared about. It can be heartbreaking to watch someone lose their career, their home and their happiness to a substance abuse problem. When children are involved, the situation can become truly tragic. Drug-addicted parents may try to raise their children as best they can, but the simple truth is addiction quickly becomes an all-consuming obsession, making it impossible to give children the care and attention they need. Living with addicted parents comes with a number of risks to the health and safety of the child. The parent’s addiction might cause them to become aggressive with their children, leading to physical and emotional abuse. They may neglect their parenting responsibilities in order to get their next fix, leaving young children unsupervised for extended periods of time. They may not be able to provide their children with sufficient food or shelter, as all of their money goes towards purchasing drugs or alcohol. They may even leave their drugs out in the open, where curious children will almost certainly find them. Regardless of how careful one might be, the fact of the matter is that parents suffering from a chemical addiction are putting their children at risk. Can Addiction Be Passed Down To Children? It is commonly assumed that children raised by drug-addicted parents will inevitably become addicts themselves. Recent research is beginning to show that there is in fact a powerful genetic component to addiction, explaining why some people can experiment with addictive chemicals without developing a dependence while others cannot. Growing up with addicted parents can also cause children to view substance abuse as a normal part of life. While it is true that the children of addicts are much more likely to develop substance abuse issues as they grow older, their fate is not written in stone. By achieving recovery while children are still young, addicted parents can greatly reduce the risk of their children becoming addicts as well. Parents in recovery may be overcome with guilt when they consider how their addiction might have affected the lives of their children. They may fear that exposing their children to their drug use will cause them to follow down the same path, or that by passing on their addiction-prone genes they have condemned their children to a life of addiction. It’s never easy to admit that you may have harmed your children, but dwelling on the past does nobody any good, and genetics cannot be changed. The important thing to remember is that by moving forward in a positive direction you can set a powerful example for your children. When you work to better yourself in an effort to provide a good life for your family, you are showing your children that you care deeply about their well-being and are willing to do anything to make sure they are properly cared for. Breaking the cycle of addiction takes a tremendous amount of work, along with a genuine desire to quit. 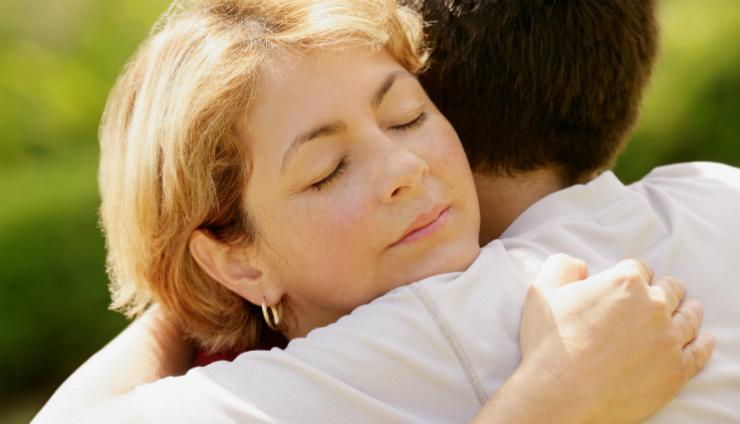 If you are a parent struggling with a substance abuse issue, know that achieving recovery for the sake of your children is one of the greatest gifts you can give.